Which Exam to give? GRE or GMAT. 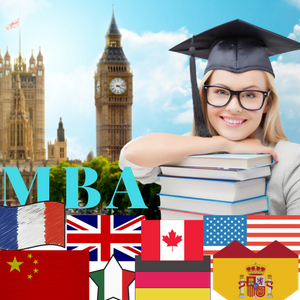 As of now GMAT is more popular for MBA and number one choice from students. There are colleges which do not require GMAT or GRE. How to prepare for GMAT/GRE, Practice tests etc. TOEFL/IELTS might be required for non-native English speakers. Average age (for top schools) is around ~27-29 yrs and average work experience is ~4-6 years. 20% admitted students at Stern (NYU) receive merit scholarships(most of them are full or half tuition waiver). Around 40% students at MIT Sloan are international students. Duke: GMAT score range (80%) 640-750. Wharton: GMAT score range(80%) 700-770. Oxford Said: Average GMAT 690. 95% students are international. Cambridge: Average GMAT 690. Expectation: GPA>3.3 or top 25% of class. TOEFL 110 or 7.5 in IELTS.